Steve Baker, a Conservative Member of Parliament, was announced today as junior Brexit minister under fellow libertarian David Davis. Baker, who has referenced Austrian scholars such as Ludwig von Mises, Jesús Huerta de Soto and F.A. Hayek in the House of Commons, has long been a Eurosceptic and seen as a “hardliner” in future negotiations with the EU. Along with his opposition to the EU, Baker has been a vocal opponent of the Bank of England’s policy of quantitive easing, and the IMF. As I explained, as Mises set out, as Hayek followed in his steps and as others have predicted, we risk a final and total catastrophe for our currency system. To conclude, we are in danger of simply kicking a can down. ... We are looking at further credit expansion, further monetisation of debts and further socialisation of risk. Throughout the western world, we are in danger of appearing as King Canute, trying to use politics to hold back the realities of social co-operation, which we usually describe as economics. The IMF is an institutional legacy from a monetary system that failed 40 years ago, and the uccessor to which is even now failing as well. 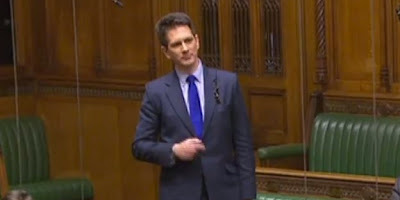 Eurosceptic Conservative MP Steve Baker has been named as a minister at the Department for Exiting the European Union. The Wycombe MP becomes the latest appointment as Theresa May continues to reshuffle her top team following her failure to secure a parliamentary majority at the general election. The choice of Mr Baker, one of the most vocal Eurosceptic Tory MPs, to an important role in the Brexit department is likely to anger Remain supporters who had hoped the election result would force Ms May to adopt a more conciliatory tone on Brexit and drop threats to leave the EU without a trade deal. Mr Baker played a prominent role in the Leave campaign and was chair of a group of 50 Conservative MPs, called Conservative for Britain, that fought for Brexit in the run-up to last June’s referendum. He later ran the European Research Group - a Brexiteer organisation for backbench Conservatives. In the House of Commons, Baker once told Europe Minister David Lidington that he was “polishing poo” as he set out details of the British government’s EU renegotiation deal to MPs. Watch the video here.